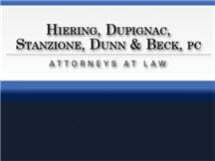 For over fifty years, our lawfirm has served the residents of Ocean County and surrounding communities in civil and chancery litigation and appeals; contract, personal injury, probate, family and worker's compensation matters.Our firm has also represented various governmental bodies, including the Ocean County Utility Authority since its inception in 1970. Recent years have brought an expansion of our firm's practice areas as we represent several wireless telecommunications carriers and other companies across the state. Please contact our attorneys to learn how we may serve you or your company with honesty and integrity.